Direct oceanfront condo - The Breakers. Newly decorated with complete full kitchen. Best ocean view in all of Hilton Head. Park your car and relax at the beach. Fly a kite. Ride a bike. Short car ride to Harbour Town and popular South Beach. 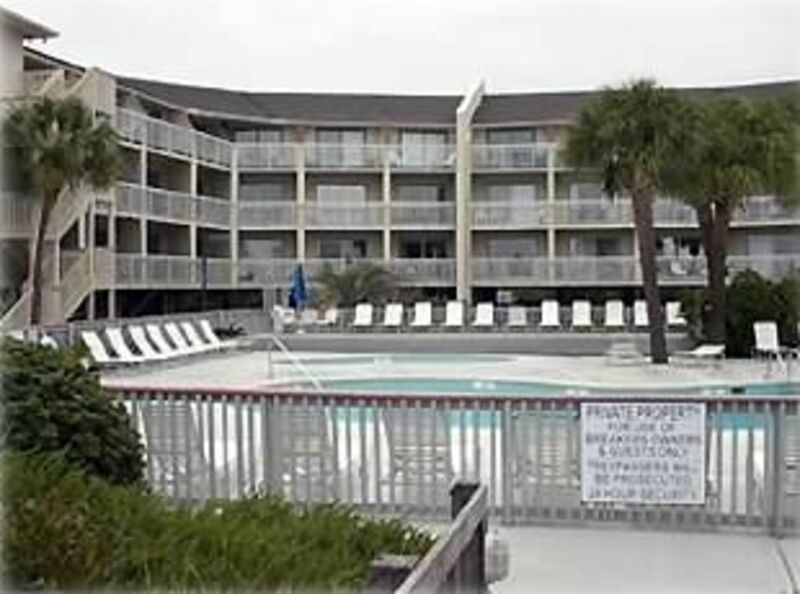 Walk to Coligny for restaurants and shopping. Sit on the deck and truly enjoy a grand view of the Atlantic. Good stay in Hilton Head. Really enjoy this vacation spot. Close to all amenities. Unit and resort somewhat tired and in need of a little TLC but it was fine for the time we we spent in it. Relaxing weekend getaway. Proximity to the beach and shopping are a huge plus. Unit needs some updating/maintenance. Specifically, both patio rockers were broken, making balcony sitting an unattractive option. That and some insect issues raised some concerns. The view was really nice. The unit/complex was ok. Its All you needed. We just wish it was cleaner. Some fresh paint and a good cleaning would do wonders. But for the amount of time we were actually in the unit it served it purpose. We sat out in AM and Late Evening on deck and that was just awesome. Thank you to the owners for their quick response and mailing of information required for unit. Unable to review the condo. I had to cancel (hospitalized) but am having miscommunications trying to get refund per INSURANCE policy I paid for. The Property Owner, Fred, was notified and agreed. I need help getting the insurance to send refund. You couldn't beat the location and the price of this condo. You can be on the beach in two minutes! The beach is very crowded but it did get quiet at night. We have small children, so bedtimes were early and we didn't have any noise issues. The condo didn't provide any toiletries, but there is a grocery store right across the street. Bring lots of towels. Sand gets everywhere (especially since the shower drain was very slow so the tub always had sand in it). We were very happy with our stay here! Had a awesome time at the island. Condo was a awesome find. Would highly recommend it! The most perfect condo with the most amazing view! Can't say enough good things. Fred the owner was there from the beginning and was awesome! Glad you had a nice Hilton Head holiday.